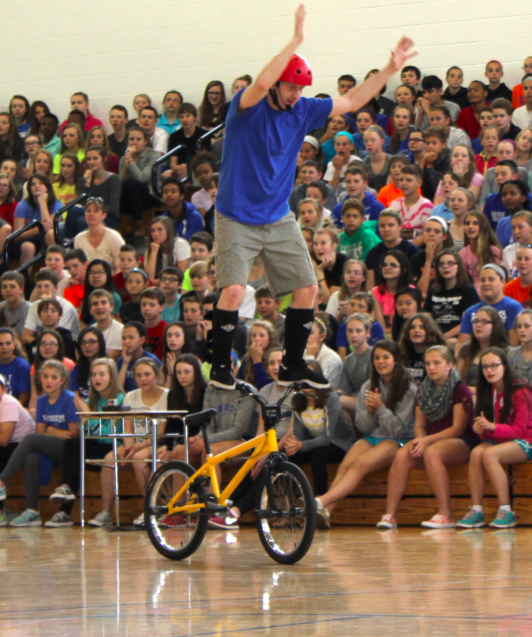 Since 1988, I have empowered millions of young people with my words of wisdom, real life stories, and amazing bicycle stunts. Call it character education, anti bullying, youth leadership, or whatever you want. The bottom line? In my own original way, I get the point across and help young people absorb timeless life lessons. The same lessons that every parent and educator tries to instill in todays youth, but for some reason is falling on deaf ears. I custom design each presentation to meet your specific needs. I mentor students, educators, and parents at schools, conferences, and colleges. I have performed at over 7,000 events throughout the country and I am presently writing my first book, "TEEN EMPOWERMENT - The Formula to Xtreme Success" which will be available in 2019. My goal is to help as many young people as possible. I look forward to partnering with you to help improve the culture within your community.